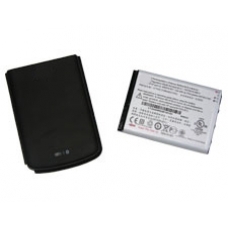 High Capacity removable battery for the 900 series Business Manager this will provide you with the additional power you need. 100% OEM compatible battery. The high capacity battery does increase the profile of the iPAQ however a dedicated battery cover is also included. Suitable aftermarket replacement for the following HP battery part number 460570-001 and Regulatory Model No: HSTNH-K18B-H.
* Includes Battery Cover due to the increase of unit's profile.